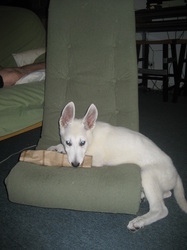 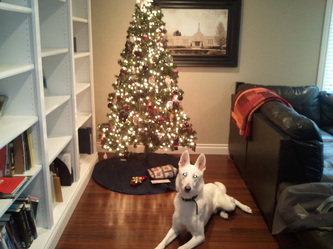 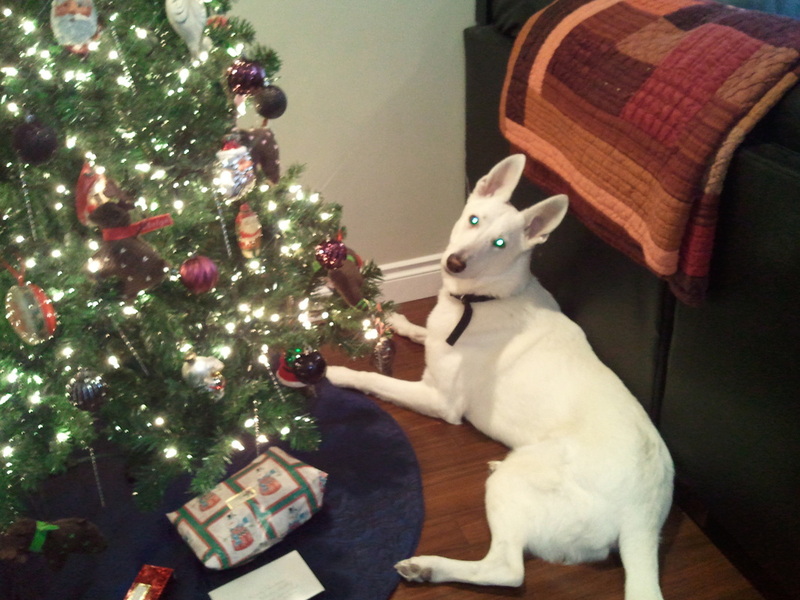 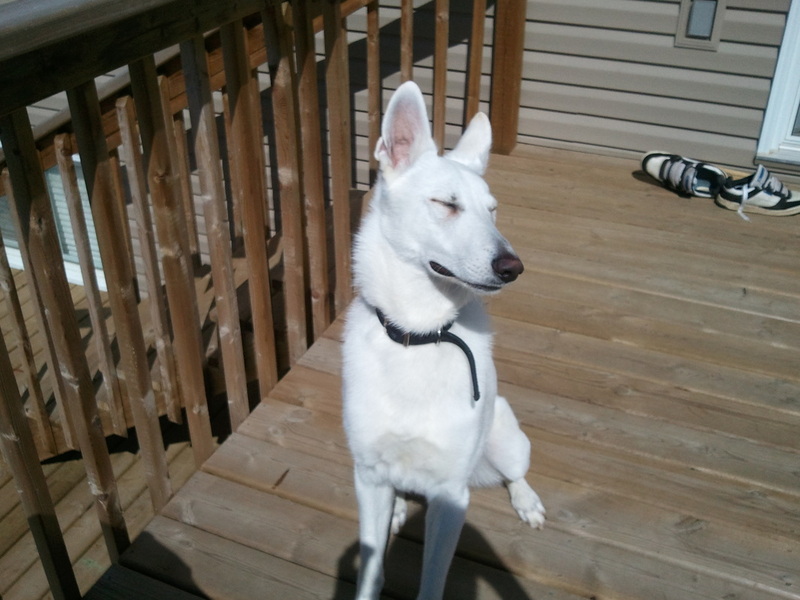 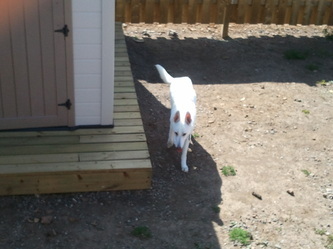 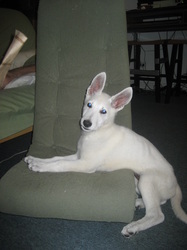 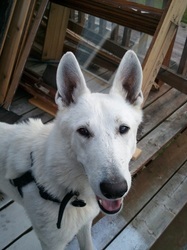 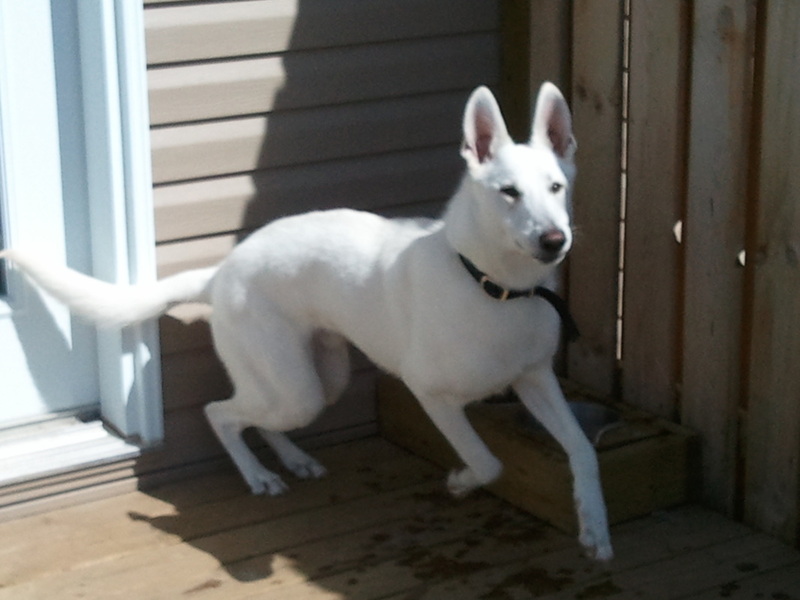 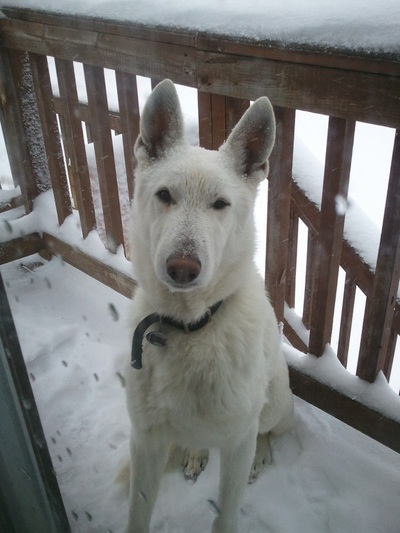 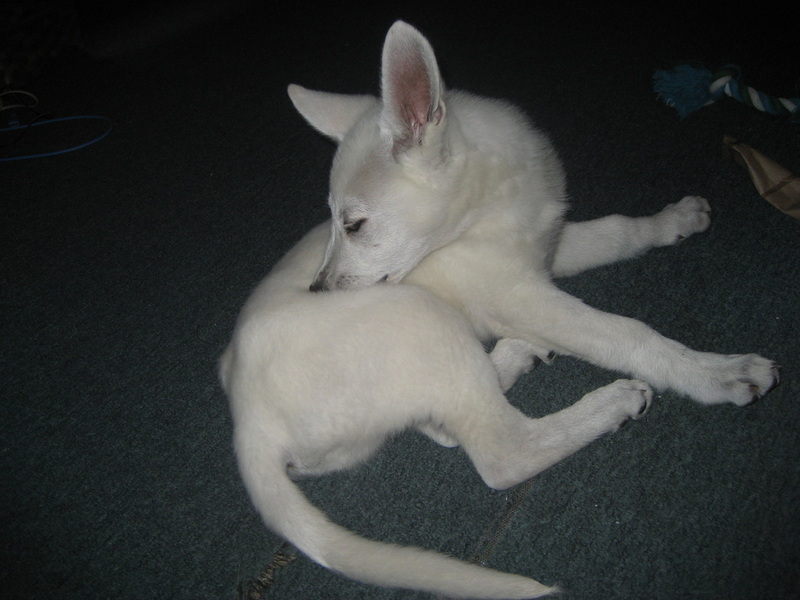 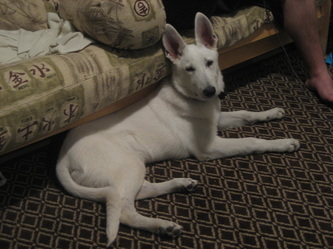 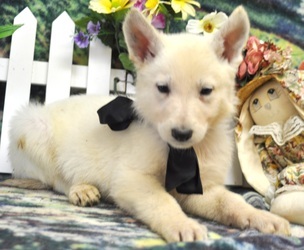 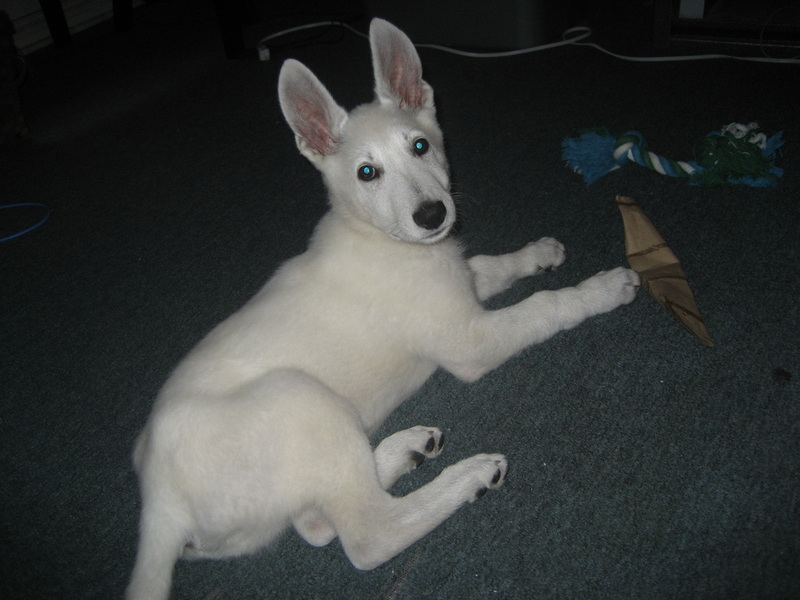 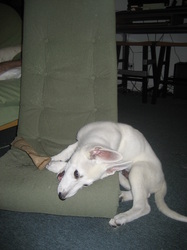 Gunner is a purebred White German Shepherd. 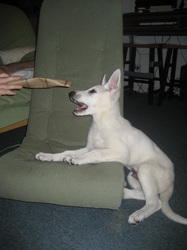 We got him as a puppy for our 2nd wedding anniversary in 2010. 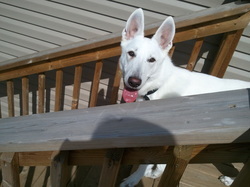 Although a lot more hyper than most German Shepherds, he is very smart and loves to be outside. The first of our animals to be named after a character in Micah's book.